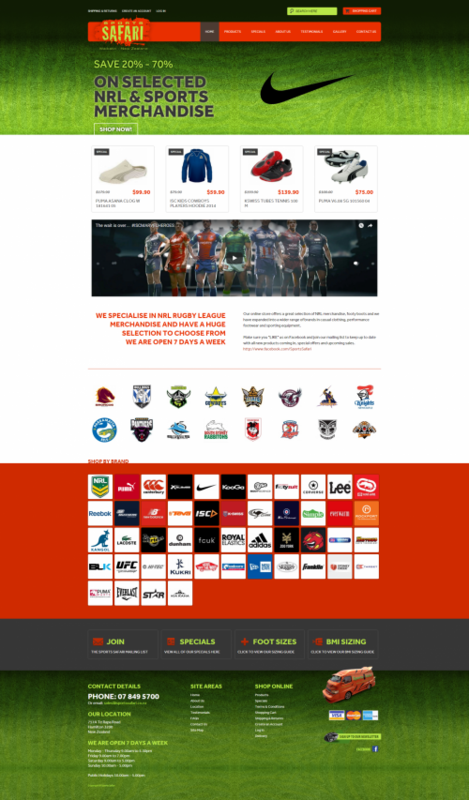 The Sports Safari website utilises a feed directly from the shop POS system to ensure stock levels are correct. We have established a well-known sports store. We offer friendly expert service to satisfy our customers’ demands. Located in one of New Zealand’s fastest growing cities, Te Rapa, Hamilton. Next time you are passing through, come in and see what we have to offer.